Like an individual, businesses need money to keep their operations afloat. At times, you could have an urgent need but the cash available is not sufficient. Getting a bank overdraft could take 24 hours or longer while borrowing a soft loan from friends or fellow entrepreneurs does not always guarantee success. Another reason could be that you are in lousy credit already and conventional borrowing has hit a snag. With challenges far and wide, you need to get money fast. Clients cannot wait; otherwise, they will move on to the next business that serves their interest. As the words imply, a merchant cash advance refers to money a business obtains on the strength of its daily credit card receipts. Before we unpack cash advances any further, an understanding of the credit card transactions would suffice. A credit card is a loan advanced to a holder by the issuer of the card. By possessing such an instrument, you can use the money, that you do not have, up to the limit given. Later, the issuing firm sends you a bill which you pay after which the cycle begins again. From a business perspective, if you accept payments via credit card, you are a merchant and must open a credit card processing account. Usually, the acquiring bank provides you with card-swiping equipment. They also upload software into your system that enables you to handle every aspect of card acceptance. At the end of a cycle, the bank will pay a lump sum. There are numerous examples of establishments where merchant cash advance worked perfectly. You can also explore the possibility of utilizing this facility. However, there are fears among small business owners that these advances are like borrowing money from a loan shark. Do not let that notion sway your judgment. Merchant loans can, in many ways, serve your interest better than an ordinary loan from the bank. How would you know that your business needs one? Bank loans have an exciting twist about them. Once taken, the bank expects that you pay the agreed amount every month without fail. As fate would have it, there are bad times when you do not make money. Your bank will hear nothing of it; they need their money back. Besides, failure to pay on time results in a negative report in your credit report. 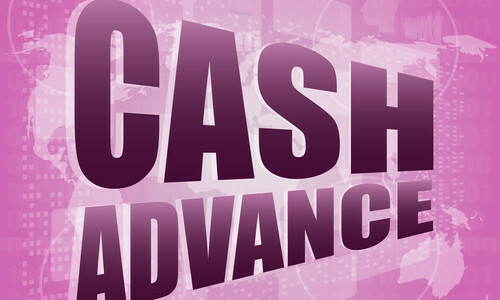 With cash advances, you can pay according to the cash available. So, if you need a little boost for your firm but are seeking flexible repayment terms, merchant cash advance would be ideal. Low credit scores are a hindrance to securing a loan from the mainstream banks. The thing with bad credit is that even if the problem leans more on personal finances, it affects your business too. Lack of collateral also follows a similar path. Only a few traditional lenders (mark the words “a few”) can advance you money without asking for some form of guarantee. Therefore, when your credit status is in the red, and you have no collateral to offer, you are better off seeking for a cash advance. Banks patronize their lenders by seeking to know whether you are spending the loan in the manner indicated. If you had stated in your proposal that you wanted to buy machinery (as an example), you must show proof of the acquisition. Failure to comply could result in a withdrawal of financial support. With merchant financing, you have the freedom to spend the cash as you wish. When applying for an injection of cash, there are measures you can take to ensure that you get the amount you seek. Also, by following these tips, you stand to enjoy the loan facility at a reasonable interest rate. Before they commit their funds, MCA providers will examine your bank accounts. They want to have an overview of the way you transact business. The moment they notice that you have had a series of bounced checks, you stand to lose. Your financiers require that the advance is paid daily. If your financial records show that you have a habit of failing to meet other obligations, they will not fund your business. By consistently having money in your business account, you prove to the lender that you can service their advance. They will fund you and consent to a lower rate than what other lenders offer. What is more, the lender can decide to lengthen or stagger repayment allowing you to have more working capital. Your credit score acts as a measure of how well or poorly you meet creditor obligations. On the strength of that understanding, the company advancing you money becomes the new creditor. As expected, they will request for and review your credit report to ascertain whether you are worthy and the level of risk you possess. Bankruptcy, default or delinquency will make the lender hesitant, and even if you get an approval, the cash advance becomes expensive. Ordinarily, the structure of this type of small business loans dictates that you make daily payments to the lender. However, such an arrangement may put you under intense pressure. There are days when you do not sell anything, yet you committed to pay. To avoid falling into a possible state of depression ask the lender to offer you a weekly plan instead of the daily one. If it sails through, you will have offloaded the cash flow strain and leverage on days when your business makes little or no monthly credit card sales. In addition to keeping with the above four tips, avoid acting in desperation by getting funds from just about any MCA. Every company offers the service at a different rate; you only need to find the one that best suits your current situation. Also, there are many such companies in the market making it so hard to choose. At the same time, if you have numerous merchant cash advance providers running checks on your credit status, it may affect you adversely. Therefore, do your research carefully and only approach one firm instead of too many at once.